I’m back to write about Rachel’s season but I need to streamline what I write so there aren’t going to be as many images or GIFS. That takes up too much of my time. I hope all of you are well and enjoyed the off-season. I watched Dancing with the Stars until Nick got kicked off. Pretty sure it’s more of a popularity contest than a dancing competition seeing as Simone Biles, the most decorated gymnast in the history of history, got kicked off before the baseball player who helped win the world series for the cubs who’s barely coordinated enough to tie his shoes. It’s a boring, boring, boring super perky gag-me-with-a-giant-sugar-coated-rainbow-lollipop show. Too many fake smiles and fake everything for my taste. No one is that f*cking peppy all the time. But there was a chance Nick might say something interesting so I tuned in. Vanessa seemed to get less and less enthusiastic as the season went on and I didn’t see her at the finale (which I watched since I thought Nick might be back). I think their days are probably numbered but I thought that before DWTS. Alright, enough about Nick. It’s Rachel’s time. I have to say I’m very unimpressed with the men The Bachelor producers have provided for our super smart, super sweet, super fun, super pretty Bachelorette. None of them are good enough for Rachel. None I say. The episode starts out with a lot of rose petals, poses, hair twirling, and memorable one-liners: “I’m sassy but classy!” Rachel probably isn’t the first woman to utter that one but it’s the first time I’ve heard it. Hi. I’m Chris Harrison and I can’t believe this gig has lasted this long. Welcome to yet another predictable exciting new season of the Bachelorette. If you’ve seen one, you’ve seen them all but, hey, keep watching. This is the easiest money I’ve ever made. Over the years, we’ve seen a lot of bachelorettes come and go but never have we had a black bachelorette because we don’t think white women will watch and we’re trying to make money here. You didn’t honestly think we give a damn about love stories did you? seen anything like the outpouring of love and support for our new bachelorette, Rachel Lindsay. Rachel came into last season a very pragmatic and reasonable skeptical woman. She questioned everything about this process because anyone with a half a brain would but lo and behold she fell down the twisty mansion staircase and hit her head which caused enough of a concussion for her to lose the ability to think critically for 6 weeks and temporarily think Nick would make a good life partner deeply in love and bachelor nation fell in love with her. And while Rachel did ultimately return to her senses leave brokenhearted, she also left believing she could find a fat paycheck and a brand new wardrobe love again right here. That’s why she’s back and we couldn’t be more excited. So let’s take a closer look at the bachelorette a handful of women who think romance novels are real the whole country is talking about. 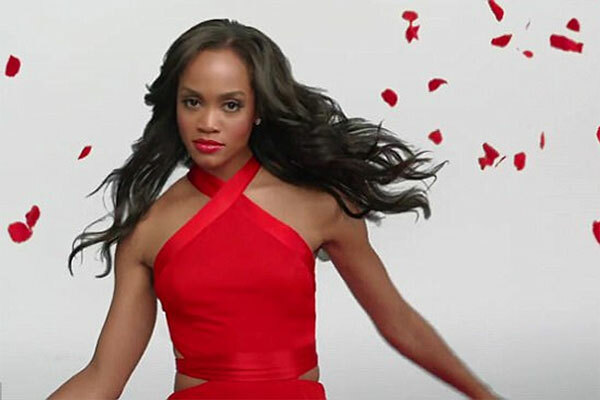 In case anyone missed it, the new Bachelorette is Rachel Lindsay, a 31-year-old civil defense litigator from Dallas, Texas who is the Bachelor franchise’s first black lead. Kenny is a 35-year-old professional wrestler which means he gets paid to dress up in tights and perform seemingly violent stunts with other men which occasionally results in him having to sniff the balls of his fellow wrestlers. Despite Kenny’s questionable career choice, he seems like a nice guy, he’s age-appropriate, and he loves his 10-year-old daughter who seems like a well-adjusted human being. Kenny could be a contender. Jack Stone is a 31-year-old lawyer from Dallas, Texas. Geographically desirable and age-appropriate but definitely a serial killer. Alex is a 28-year-old generic meathead IT guy whose mom told him he has a 180 IQ. No. To all of it. Mohit(o – you know his name is just better with an “o” at the end) is a 26-year-old barista “product manager”. He dances Bollywood but fails to make it to the Bollywood group date (which I’m sure the producers had planned when they cast him) after he gets the night-one axe for being too drunk to walk or be entertaining in any way. Lucas is a 30-year-old… WHABOOOM!!! Diggy is a 31-year-old Costco stock boy “senior inventory analyst”. He got the nickname Diggy because people like his “digs” (white people translation: “fashion sense”). He has 575 pairs of sneakers which is 574 more pairs of sneakers than an adult male should have. Who does he think he is? 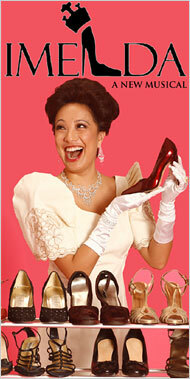 The first lady of the Philippines? Josiah is a 28-year-old criminal prosecutor from Florida. I thought he could be the one until I witnessed his overconfidence and referral to himself in the third person at the cocktail party. He’ll probably be around for a while though. Next, Rachel introduces us to the female cast of this summer’s Bachelor in Paradise gets together with her friends from Nick’s season of the Bachelor for a pep talk. I almost forgot about all of these women. Kristina’s hair looks killer. How many different kinds of highlights does she have? Anyway, I’ll be taking this photo with me the next time I go to the hairdresser. Demonstrably absent is Vanessa. Word around the campfire is that Rachel and Vanessa had a massive fight on the set during the trip to Bimini and are not friends. I wonder why they didn’t show that. Could it be that the producers didn’t want to reveal that Nick’s girl Friday is a serious C-U-Next-Tuesday? “I want to see a two-on-one with Iggy and Diggy.” Ha-ha-ha! Thanks so much for deciding to recap this season! Sorry for the delayed response. I’m glad you enjoyed the recap! Woo hoo!! So glad you are back! I laughed so hard at your Chris Harrison redacted speech paragraph. Sorry for the delayed response. I’m glad I made you laugh. That’s the whole point! Excellent recap as always. Happy that you decided to do this season, and the “streamlined” version is perfect, but hope you are also doing well. Rachel is the first bachelorette that I am looking forward to watching her “journey” to true love. Whether that happens or not will not lessen my enjoyment of watching a truly intelligent woman navigate through the process. Thank you again for coming back because your take on it all is what I enjoy most. Thank you so much for your thoughtful comment. I am doing my best to keep up with the show. I always have a lot on my plate so it’s challenging. The week they skipped an episode helped me to catch up so I was actually happy about it. I’m looking forward to Rachel finding true love too but I just don’t think any of her guys are keepers. I don’t see anyone who can match her intelligence and confidence and also can be a supportive and insightful partner who can help her break down her walls. I know she is engaged but I’m very doubtful that it will result in marriage. Well HI! Missed ya.. glad you are back! As always, awesome recap. By the way, did I mention it is nice to have you back for the season?! I’m glad to have you back as well. You are such a bright shiny soul. I am also glad you’re back. Loved the Office Space reference and this: “Looks like they dusted off the generic good-looking Asian guy they keep in a closet at ABC HQ and sent him out of a limo to be cut night one again” She kept the wrong Blake! Looking forward to a fun season – Rachel is a great bachelorette (so far). I like that you put your full name and middle initial in the name field. There’s something cute about it. Like, “I’m not just any Jennifer, I’m THIS specific Jennifer.” I like that. I do something similar. When I have to fill out “Middle name” I put my full middle name because it’s important to me. I am not just Emily T Condit. I am Emily Taylor Condit. Taylor is a family middle name and there’s a common thread between me and my past relatives who’ve had it. The Taylors have been interested in science and engineering like me. I’m glad you liked the recap and got the office space reference. I wasn’t sure anyone would get it without a picture. She definitely kept the wrong Blake. Muscle freak Blake is obnoxious. I agree that Rachel is a great Bachelorette. I like her better than JoJo or Andi. I liked Kaitlyn but was pissed when she chose Shawn. He’s such a hot-tempered moron IMO. She didn’t have to choose Nick but there were better options than Shawn.